Creditors besieged its bank account. The CRA obtained seizure orders for its assets and put liens on its president’s home and luxury cars. Its biggest clients have walked away. And more than 200 people have sued for nearly $1.8 million in unpaid earnings and other damages. Able Translations was once one of the biggest companies of its kind in Canada, landing contracts over the last two decades to provide medical interpreters for Alberta and Ontario hospitals, document translation for Fortune 500 firms, and language services to every level of government. It functioned as an agency, subcontracting the work to hundreds of people fluent in everything from Albanian to Urdu. 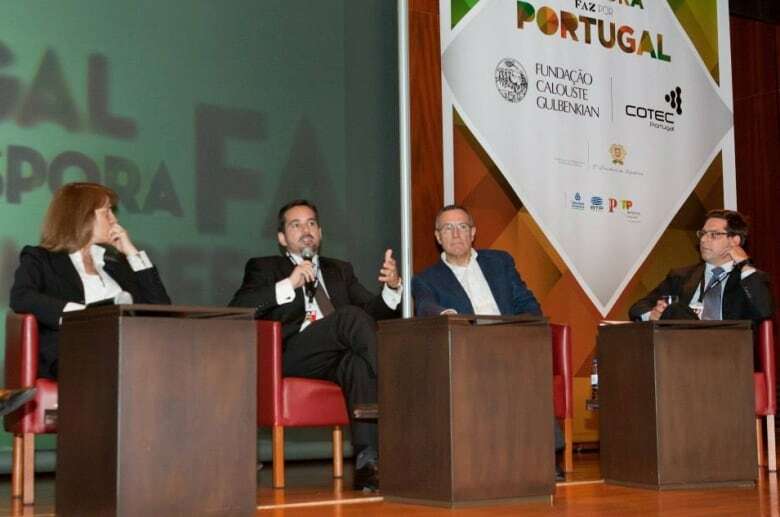 Portuguese-born Wilson Teixeira, Able’s founder and president, could often be seen networking with top municipal, provincial and Portuguese politicians. But in the last five years, Ontario-based Able has racked up a global trail of debts, according to a CBC investigation that has revealed, for the first time, the vast extent of the company’s financial delinquency — and its machinations for dealing with it. Court and financial records, company emails, and interviews with more than 50 translators — overwhelmingly immigrants — show Able has bounced at least two dozen cheques, defaulted on dozens of court orders, possibly misrepresented facts in court testimony and broken a litany of promises to pay its freelancers. From 2014 to 2017, the company brought in more than $4.7 million just from contracts with governments and taxpayer-funded agencies, CBC has learned. While it’s unclear how much of that has gone to the company’s owners personally, they own an $800,000 home, a second 50-acre property in the countryside and two high-end vehicles the Canada Revenue Agency is going after — a Lexus and a Mercedes SUV. Meanwhile, hundreds of workers have come forward with lawsuits and labour-ministry complaints saying they haven’t been paid. The Able case, labour advocates say, highlights the growing problem of work in many sectors being farmed out to freelance contractors, who don’t fall under employment laws that, for example, allow government to step in and force a company to pay its staff their wages. 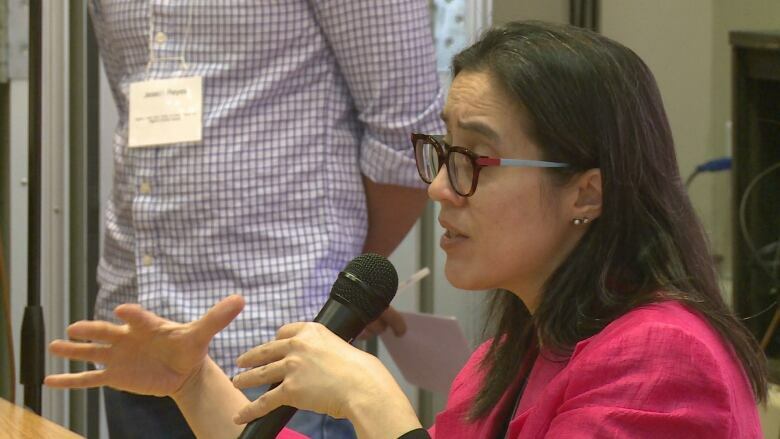 “There is a lot of manoeuvring in how employers structure their work to try to get workers out of the classification of employee,” said York University professor Fay Faraday, an expert in employment and human rights law. In such cases, one of the only avenues for redress is to sue for your money, but that can be a lengthy and “scary thing to do,” she said. Despite weekly reminder emails and calls, she never did. Ground Zero in the Able Translations saga has been the small claims court in Brampton, Ont., just northwest of Toronto. It’s one of the busiest courthouses in the country and the closest one to Able’s headquarters in nearby Mississauga. There, in any given week, the company — which once boasted to a judge that it has provided “good income-generating freelance opportunities for hundreds” of translators — will typically be dragged into court by one or more of those very same workers. Ask for the paperwork on any of those lawsuits, and court clerks respond with a knowing nod. Two weeks ago was Changye Ding’s turn at bat. A father in his mid-40s, Ding is soft-spoken, with salt-and-pepper hair and an easy smile. 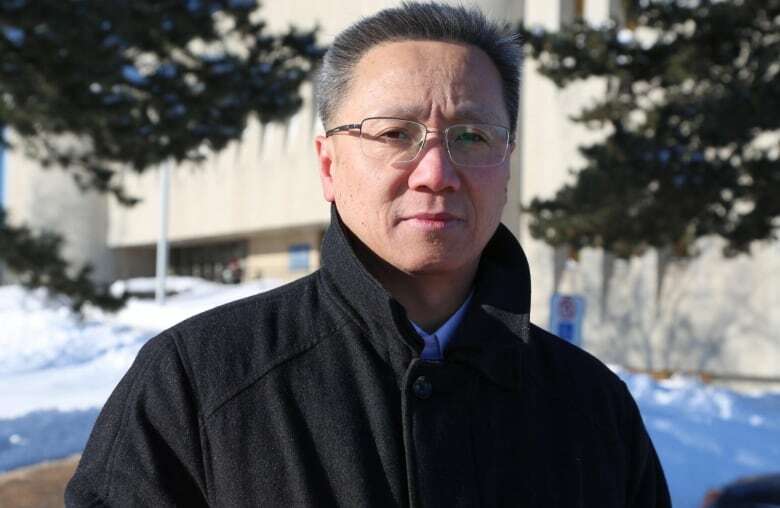 After immigrating to Canada from China in 2006, he freelanced off and on for Able over the last decade, translating workers comp letters and interpreting for Mandarin and Cantonese speakers at medical appointments and legal proceedings across Southern Ontario. In recent years, Ding’s earnings would arrive many months, or even more than a year, late. Then in March 2017, they stopped entirely. Able staff repeatedly promised in emails and conversations to pay his invoices. He called it quits three months later after the bill ran up to $14,082. He finally sued last May. He was seeking a default judgment after the company had agreed in court to settle its debt in instalments spread out over a year, but then failed to make even a single payment. His case is far from unique. Court registry searches in every Canadian province show at least 245 lawsuits filed against Able Translations since 2014. There are cases in Metro Vancouver, Calgary, Edmonton, Toronto, and across Southern Ontario – with some plaintiffs as far afield as Britain, Egypt, and South Korea. At one point in January 2017, the lawsuits hit a fever pitch as five were filed in just three days. But it’s not just the number of lawsuits — it’s how they play out that has legal experts suggesting Able Translations is deliberately trying to stiff its freelancers. Take the case of Arabic interpreter Ashraf Morcos. As in dozens of lawsuits reviewed by CBC, Able didn’t file a defence. So a judge delivered a default ruling in August that Morcos is owed $8,619 for his work and for court costs. Able then tried three times last fall to overturn the judgment. Twice, it didn’t even show up for its own scheduled court hearings. But in small claims court, the company was granted extra chances. That dragged out the proceedings by months. Morcos still hasn’t received his money. Even once a judge orders the company to pay up, it’s still a struggle to get any money. When Able does send cheques, they often bounce. When it doesn’t, translators have obtained court orders to attempt to confiscate the money from its bank. But the company’s main account has been frozen since last spring as more than $100,000 in seizure orders have piled up; it was finally closed in October, TD Bank representatives announced that month in court. The company seems to have misrepresented even those details. Its operations manager, who attended that October court hearing, testified under oath two months later in a different case that the bank account was still open — leading an interpreter who was owed $2,300 to waste efforts trying to seize funds from an account that no longer existed. The operations manager later told CBC News she was testifying based on her understanding of the company’s finances. “It’s a waste of time. It’s a waste of taxpayer money,” said France Lefebvre, a French translator from Saint-Calixte, Que., who is owed $24,768 and has sued. Her spouse, Antonio Kappos, also freelanced for Able and is owed $20,693. As the amount Able owed them grew, Lefebvre said, they sometimes just refused further assignments. But then the company would stop making any payments on its debt until they took on more work. “They’re manipulators,” she said. Customers are slowly waking up to the company’s ways. In the last year, three big clients have pulled out of their translation-service contracts, with two of them specifically citing Able’s non-payment of its workers. All that has left many translators and their lawyers wondering how Able is still operating. “Many people don’t understand why such a sh-tty company can still be running their business. Why can’t government shut them down?” said Yuan Han, a Mandarin and Cantonese interpreter who said it took two years followed by a small claims court lawsuit to finally get paid $3,300. Translators aren’t the only ones owed money. A company that runs an online invoice-handling service shut off Able’s access and is suing for $7,994. An office cleaning and bathroom supply company is embroiled in litigation, as is a firm that provides transcription services. The single biggest bill appears to be for unpaid taxes. Canada Revenue Agency court filings show Able owes $644,195, including $92,297 in GST it failed to remit and tens of thousands of dollars in payroll deductions like EI and CPP. A limousine service called Able Transport — a sister company with the same owners, offices and overlapping customers and staff — owes the taxman a further $607,462. Starting in fall 2017, the CRA obtained court orders to seize both companies’ assets. It slapped Able’s owners, Wilson Teixeira and wife Annabelle Teixeira, with a half-dozen tax liens on their Mississauga home and on the Mercedes, Lexus and snowmobile he owns. The Ontario Finance Ministry is also after the businesses for tens of thousands of dollars in employer health tax and has put liens on nine cars registered to the two companies. Amid the mountain of debt, property records show, the Teixeiras took out a second, million-dollar mortgage on Able’s office building last December, before selling the building outright in May. They have multiple mortgages on their family home. Despite the financial turmoil, Able Translations appears to still be in business. Its office is bare-bones but still staffed, the company was booking interpretation appointments when a journalist called, and freelance translators — including ones suing the company — keep receiving email requests to take those assignments. One bill the company has managed to pay consistently is its rent, its landlord said. “I’m disappointed and hurt that they practise like scammers from a third world country,” said Iryna Iudina of Vancouver, who immigrated to Canada five years ago from Ukraine. Invoices and emails she provided show she hasn’t been paid for several days of Russian interpreting and translating. She took her case to B.C.’s Civil Resolution Tribunal, an online dispute-settlement body for small claims, and won. Able didn’t show up — but it’s now trying to have the ruling set aside. Have a tip on this or any other story? Email zach.dubinsky@cbc.ca or call 416-205-7553.